In 2006, CECHE supported Dr. Karine Manukyan’s travel to the 13th World Conference on Tobacco and Health. Dr. Manukyan submitted the following report on tobacco control activities in Armenia, with emphasis on use in women. The National Tobacco Control Program was adopted in December 2004 by Armenia 's Parliament, after being twice rejected by the lawmakers. Local observers were certain that the bill would be voted down by influential parliamentarians lobbying or engaged in the tobacco promotion business. Among the main promoters of the law and the author of the bill in the National Assembly was a woman deputy, chairwoman of the Parliamentary Commission on Science, Education, Culture and Youth. The bill suggests imposing a ban on tobacco advertisements and sales of tobacco products to underage persons, smoking in all public places , transparency in the tobacco industry, as well as a gradual increase in price of tobacco products and in promoting health surveillance and healthy lifestyles. In January 2005, the President of Armenia signed the first comprehensive National Tobacco Control Law on Tobacco Realization, Consumption, Production and Usage Limitation, which aims to protect the population from the health, social, ecological and other consequences of the perilous impact of tobacco ( www.data.euro.who.int/tobacco ). One of the requirements of FCTC is to follow WHO's standards of health warning labels (30-50% or more) on cigarette packs. This part will become mandatory by 2008. Direct and indirect advertising of cigarettes will be outlawed by 2010. A gradual rise of tobacco product prices is also intended. 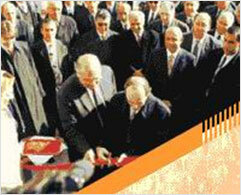 Thus, in 2005, the struggle against tobacco in Armenia entered a new stage. Tobacco-control advocates were encouraged and looked forward to successful implementation of comprehensive tobacco control measures in line with the principles of the FCTC, whereas skeptics warned that the law has drawbacks as there are no efficient penalties for violations nor mechanisms, such as fines, for enforcement. In fact, Armenia's first-ever restrictions of smoking in public, cultural, educational and health institutions were widely flouted by tobacco addicts shortly after its much-publicized introduction. Today people smoke everywhere, including in public transport. In Yerevan and Armenia as a whole, much remains to be done at the enforcement level. Moreover, Armenian backcountry regions are far behind on any anti-smoking information and policy. Lack of political will and public awareness on tobacco issue are hurdles and continue to stand in the way of progress. Almost 1 billion men in the world smoke, and tobacco kills nearly 4 million. men each year. WHO estimates that 63.7 % of Armenian men smoke, which makes them the heaviest smokers in Europe (2005-2006). According to the American Journal of Public Health (94: 2177 - 87, 2004), Armenia tops the list of the former eight Soviet Union republics in the prevalence of smoking among males. Armenians spend $25million a year on cigarettes (ITAR-TASS ( Russia ), 2004-03-18). The consequences are increases in diseases of the lung, cardiovascular diseases, as well as malignant tumors and allergy. The spread of smoking among adolescents and women is especially disturbing. About 250 million women in the world are smokers: 22% in developed and 50% in developing countries. 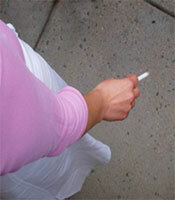 In Armenia about 15-30% of women of reproductive age are regular smokers ( different sources, 2005-2006). While there are no reliable statistics for the number of women smokers in Armenia , there is a trend towards increasing smoking among women . Emancipation, improved economic conditions, increasing power and authority for women in Armenia has been followed by a rise in cigarette smoking among women and girls. Other reasons, why more women smoke, are concern with weight and style, promotion of smoking in movies and magazines, and campaigns targeting women. While many tobacco users generally know that tobacco use is harmful, surveys show that most of them are unaware of the true health hazards of tobacco , and that women and children face additional health risks from smoking. According to the National Survey on Drug and Smoking Prevalence among the general population of Armenia conducted by UNDP in 2005 (www.armstat.am ) , in Yerevan the percentage of women smokers was 4.3%-- four times higher than projected for the region. Six years ago 1.2% of women smoked (Survey on Tobacco Consumption, by the Armenian NSS, 1999), compared to 2.2% two years later. Sale of tobacco products to the people under 18 is banned but not enforced at all in Armenia . According to the coordinator of the Armenian National Anti-Tobacco Campaign, there are an increasing number of boys and girls who smoke, and they begin around the ages of 13-15 (Armenian News Network, 2006). Education is essential for preventing the onset of youth smoking and its attendant morbidity and mortality. Young people in Armenia are virtually unaware of the health and other risks of tobacco use. A positive image of health professional is central in promoting tobacco-free lifestyles and cultures (WHO, 2005). Unfortunately, according to WHO, Armenia is among the countries where smoking is not regulated in hospitals smoking prevalence is high among physicians (above 40% in 2005), and a large percentage of them smoke in the presence of patients. In many former Soviet Union countries even the doctors and politicians who warn of the evils of nicotine are smokers themselves. According to an article, Patterns of smoking behavior among physicians in Yerevan ( BMC Public Health, 2006, 6:139), the percentage of current male smokers was significantly higher than female smokers (48.5% vs.12.8% regular, and 6.8% vs. 4.5% occasional). Among current smokers, 52.7% of men compared with 13.0% of women had previously smoked in the presence of patients. Only 35.3% felt well prepared to assist patients to quit smoking. Level of perceived preparedness to assist patients to quit smoking was positively associated with knowledge on health risks associated with smoking. There is conclusive scientific evidence that smokers face significantly increased risks of death from numerous cancers (particularly lung cancer), heart disease, stroke, emphysema and many other fatal and non-fatal diseases. However, quitting greatly reduces health risks and produces immediate and long-term health benefits. Advertising laws restrict promotion of tobacco goods in Armenia , and in fact in October 2006 Yerevan was free of tobacco billboards. However, there are many other direct and indirect pro tobacco ads. The pro-tobacco influence in movies, radio and TV is particularly bold and aggressive. It often features important persons and Armenian pop stars on TV with cigarettes in their hands portraying success and glamour. These images are imprinted in teenagers' minds. In countries of "transition", such as Armenia , where society is only just beginning to enjoy the pleasures of the market economy and consumerism, new forms of "consumer pleasures" are taking root and one of the main targets of advertising campaigns is the young generation. The tobacco market in Armenia is expanding with female consumers because more females are beginning to smoke and increasing their daily cigarette volume. Companies produce and promote specially designed (light-colored, long, mentholated) cigarettes with “women-only” brands, using seductive images of emancipation, freedom, empowerment, sophistication, and slimness. Women are unaware that in reality, smoking causes reproductive damage, infertility, cancer and premature death. The hazards of passive smoking or second-hand smoke have led many countries including Armenia , on 2 March, 2005, to pose a ban on smoking in public areas. But the ban in Armenia is clearly not working, as as one can see people smoking in hospitals, educational institutions, public transportation, restaurants, etc. ( Armenialiberty.org, 2005 ). There is practically no public awareness of the health risks of second-hand smoke. Almost half of children and most pregnant women are exposed to tobacco smoke and the majority of them at home. Armenian law mandate transparency in the activities of the tobacco industry. Several companies produce cigarettes in Armenia . 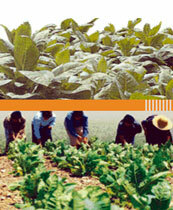 The leader is Grand Tobacco, followed by Cigaronne (Philip Morris) and International Masis Tabak (IMT). IMT has signed a contract with British American Tobacco for sale of Armenian tobacco (B&W News, 2003). In 2006, Cigaronne launched Lady Range , Gladiator, and Jackpot Slims, contributing to the trend of lighter smoking. 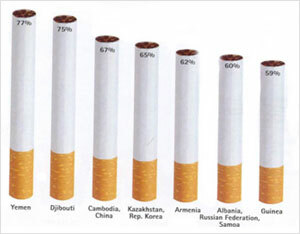 In 2004 Armenia imported some 1.7 billion cigarettes. There is a threefold increase in tobacco production in developing countries while it has declined by more than 50% in developed countries. To enhance their public image tobacco companies make major cash contributions, lobby officials, attempt to influence decision-makers and conduct public relations campaigns. In too many nations, they succeed. According to Transparency International (AFP, Nov.6, 2006), Armenia ranks among high among corrupt countries, an with a low Corruption Perceptions Index (study of 163 nations by anti-corruption watchdog). The index score ranges from zero for highly corrupt to 10 for very clean. The ranks are: # 93Armenia-2.9; # 99Georgia 2.8; # 99Ukraine-2.8; # 121Russia-2.5; and # 130 Azerbaijan-2.4. The WHO's FCTC calls all of the individuals and organizations join the combat against tobacco and provides the framework for action against tobacco. At the forefront of tobacco control initiatives are the national capacity-building (the ability to perform well, solve problems and achieve objectives) programs, enhancing expertise and leadership, building data gathering and surveillance infrastructures. The key to tobacco control strengthening capacity in Armenia is to analyze the national tobacco control scenario to develop: an action, sustained funding mechanisms, wide advocacy and publicity campaigns, activities for counteracting tobacco industry strategies, and to establish new networks. Providing youth with tools and resources can bring a fresh outlook to environmental activism, and generate social responsibility and practical capacity building mechanisms for their future. The youth-led (adult-supported) local and national movements should bring results, mitigate risks, maximize opportunities and motivate them to be aware of the abovementioned health risks and say “no” to smoking. Combating smoking will no doubt be gradually strengthened in Armenia . We need to improve public access to information on the health hazards, economic damage and environmental costs of tobacco use, to expand and strengthen the understanding and application of tobacco control policy. This will contribute to national capacity-building and undertaking of tobacco control initiatives at individual, institutional and societal levels with active engagement of youth and women. Education is essential for sustained progress. Tax or legislative interventions are unlikely to be effective if there is a little public understanding of and support for such changes.